Service description: Bank to bank international money transfers via online platform or phone. Website Languages: English, French, Dutch, Japanese and Chinese. Review Summary: World First has grown and expanded over the years, now reaching a worldwide audience with offices on 3 continents and over 600 employees. This way they can better understand the needs of their customers and satisfy the legal boundaries (as certain countries require local regulations to be imposed). Is World First legit? Their continued care for their customers has led them to win many awards each year from 2009 until today, proving that indeed, they are a trusted company. You can check them in detail below in this WorldFirst Review, and in additional articles written about them. Recommendation: One of the best financial services out there! Quick sign up, coherent system and friendly dealers. Excellent, competition-beating rates for our readers. Special offer? Yes, preferential rates for our reader. View WorldFirst rates here. Fees: Fee-free for all the transfers of over $1,000 USD (or foreign currency equivalent). There are no fees for personal transfers. The only requirement is that the minimum sum for transfers is £1,000*. For business customers, you can agree on a fee structure that reflects how much business you do together but it’s usually between £0 and £15 per transaction. And, for online sellers there are no fees for transferring funds back to domestic accounts. The rates presented here are unique for InternationalMoneyTransfers.org. They are purely indicative. They are sensitive to the amount sent. You won’t get the same rates for $10,000 as you do for $100,000. View the full explanation of WorldFirst Exchange Rates here. Being a company that offers a service that truly serves worldwide customers, WorldFirst has offices in the United Kingdom, Netherlands, Australia, Hong Kong, Singapore, and Japan. This means they have local offices on 3 different continents. In order to be able to take on clients from the most important countries and regions, WorldFirst it is regulated by many financial institutions. World First UK Limited is a UK registered company with number 05022388. World First UK Limited is authorised by the Financial Conduct Authority (“FCA”) as an Electronic Money Institution under the Electronic Money Regulations 2011. Our FCA Firm Reference number is 900508. World First UK Ltd is separately registered in Canada with the Financial Transactions Reports Analysis Centre of Canada (“FINTRAC”) as a money service business and is able to provide foreign exchange dealings and money transfer services to customers resident in Canada. World First Pty Ltd is regulated by the Australian Securities and Investments Commission (ASIC) AFS Licence number 331945. Australian Company Number (ACN) 132 368 971. Member of the Financial Ombudsman Service membership number 13405. World First Asia Limited is registered in Hong Kong as a Limited Company: No 1989650 and is regulated as an Money Services Operator by the Hong Kong Customs and Excise Department, MSO Licence: No 14-02-01352. World First Asia Pte Ltd is registered in Singapore as a Limited Company: No 201229924N and is regulated as a remittance business by The Monetary Authority of Singapore (MAS) license: RA No. 01497. 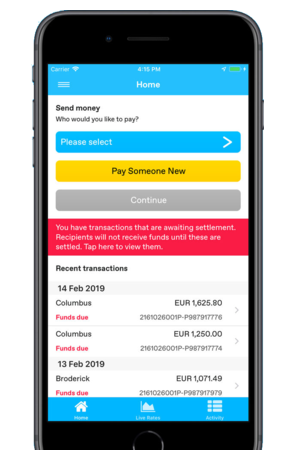 World First is one of the most reputable money transfer companies in the world and clients are generally very satisfied with their experiences over there. As a matter of fact, if you look at Feefo or in online forums relating to online sellers or small businesses, you will find more than 1,000 reviews of the firm by existing clients with very high percentages of satisfaction. Those existing customers are not only satisfied with the technological aspect of the company! They are happy to have someone reliable to speak to who ensures them that WorldFirst is safe to use and provides guidance on these topics that many small business owners and private clients don’t know anything about. World First is one of the first companies that implemented the Two Factor Authentication (2FA) system for its customers. This is becoming the standard among the top companies that deal with sensitive data and especially those in the financial sector. Why? Because 2FA increases the security of your account and reduces the possibility of your account being compromised. How is 2FA working with my WorldFirst account? When you want to sign in your WorldFirst account, you will enter as usual your username and password but then, they will send you a 6 digit code to your phone number (the one that you added in your account). 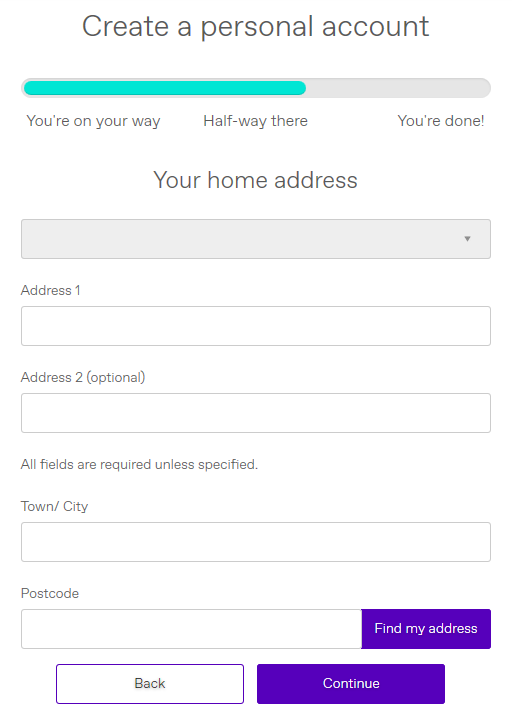 You simply need to enter that code to be able to access your account. That’s it. WorldFirst has developed one of the best mobile app in the market which can help you make a transfer in less than a minute. But why is it good? The fact is that other companies have mostly an app that features a currency converter and, that’s about it. In order to complete a transfer, you will still need to go online or talk at the phone with an agent. The app is available for both iOS and Android. With the World First Money Transfer app you can move money around the world using also your smartwatch. Make a trade in 30 seconds (if you already have your payee set up). Make use of their currency converter (like any other app). 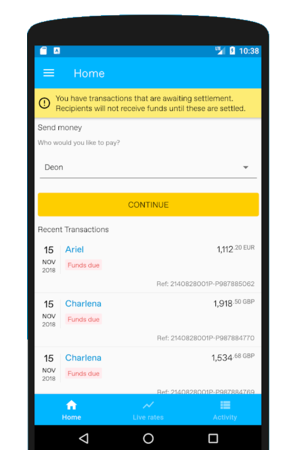 Track your payments from sender to receiver. Live rates for all the currencies (so you can know where the market is). Pay by card – Book a rate and pay all in one place. Having a great product or service means that people will talk about it. And the big names in the business sector are talking about WorldFirst with the utmost respect. You can read what some of the biggest news outlets have said about it and other articles where the company has been contributed: Financial Times, Reuters, and The Telegraph. High Potential Business Award 2016. The Queen’s Award for Enterprise 2016. World First was featured in The Sunday Times International Track 200 (2016, 2017 and 2019). For updates on the market, economy and especially currency news, be sure to check their blog section because it is regularly updated with great info. Or simply follow their social media accounts on Facebook, Twitter or LinkedIn. The registration process is very simple with WorldFirst. The first thing you will have to do is to choose the type of account you need: Personal, Business or Marketplace sellers. For the sake of this tutorial, we will choose the “Personal” profile. The second step is pretty similar to any website where there is a need for account creation – Name, username, password, email, and all that. Pretty straight forward here. 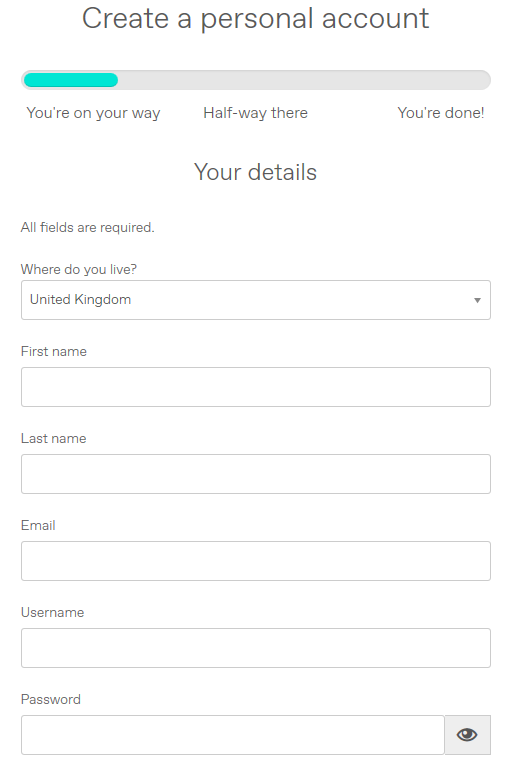 In the next step, you will need to add more personal details like phone number, date of birth and occupation. In order for the company to have a better understanding of your needs and provide the best rates for you, they will want to know what type of transfers you are likely to do, what kind of currency exchanges and so on. And that’s it, you have created your account with World First. You should have received an email by now in your inbox. 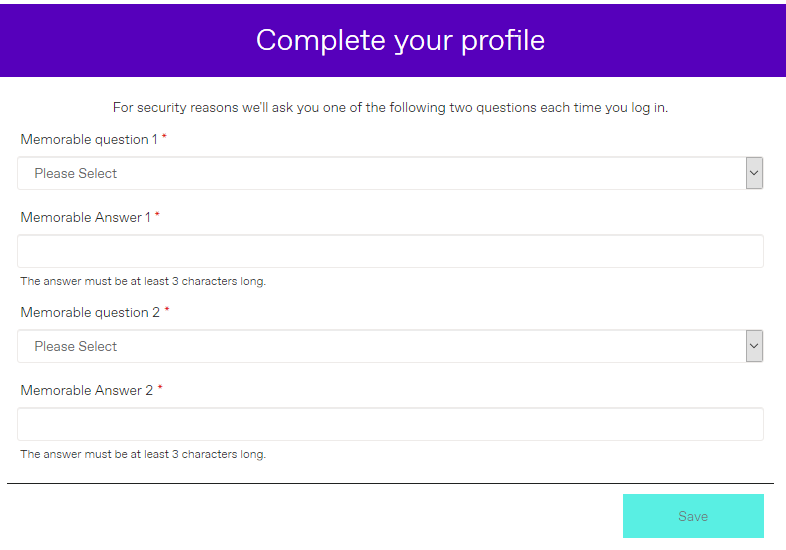 Also, when you log in for the first time, you will be required to set up your 2 security questions, just like you have with your email address. Again, a very simple and straight forward approach. 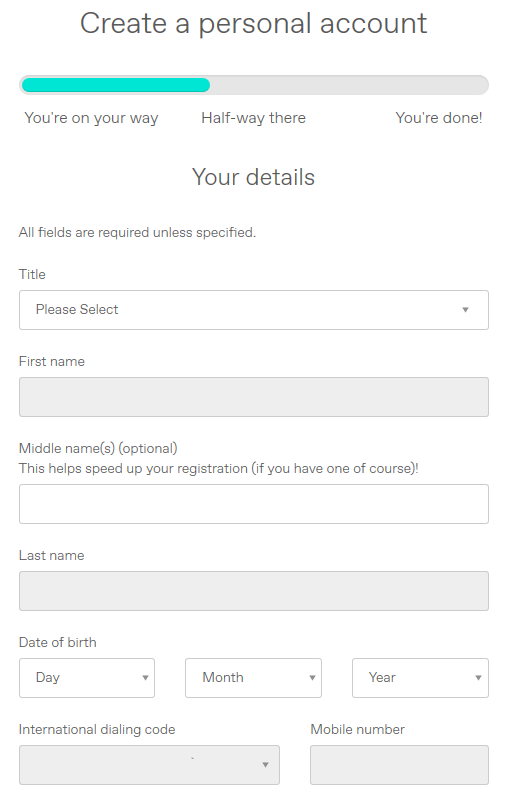 You will need to enter all the necessary details of the beneficiary on the form. Things like; Beneficiary name, email, address, bank name and address, account number, SWIFT/BIC. You will need to provide a name for this beneficiary that will be stored into your account. A name that is representative so you can easily identify it and select it for a future money transfer. You can set up multiple beneficiaries in your account and the next time you need to send money to someone you simply select it and make the transfer without the hassle of providing all the details again. Very helpful for those that make many transfers. Your account dashboard is very clean and intuitive and packed with resources to assist you in every step, any situation. Other tools that can help you decide when to make the most out of your money (especially if want to send money overseas) are provided in your account interface. For example, a historical currency exchange chart that can be customised according to your needs – you can choose the currency you are interested in and the period of time to show. This way you can see the fluctuations of a certain currency in the past 3 days or 1 month or even 1 year. 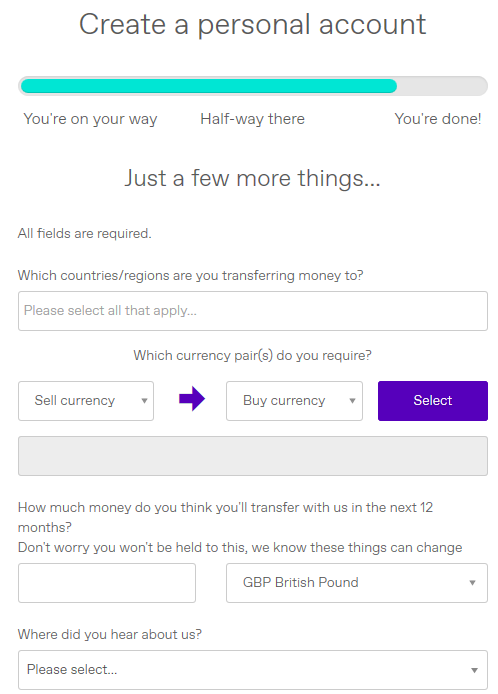 A very good tool for when you need to make a large money transfer overseas. At the bottom of your account you will see a ‘News’ section where they have listed the latest news and articles posted on their blog about the market and finance in general. Very useful information that will prepare and give hints to those that are interested in buying properties overseas, investing or simply sending money abroad. Not keen on reading the material? Not a problem, every item of news or article is commented and detailed upon in their daily videos posted on their Youtube channel. So grab a cup of coffee and listen to the most important market news provided by a WorldFirst specialist. World First is our first recommendation for anybody that need to make money transfers locally or abroad. It has a perfect score of 10/10 from us. It’s a great all around service and we are sure that you will love it as well. So go give it a try! We tried to add everything you need to know in this World First money transfer review. From fees, currencies, accepted countries, apps, and security, to step by step tutorial on how to open an account with the company. If you need to more info about a certain aspect of their service, be sure to contact us or the company directly.